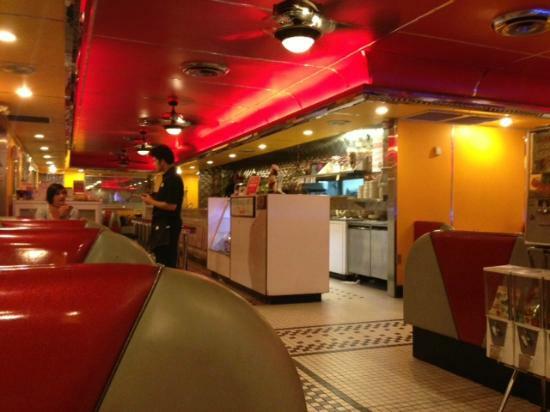 Some restaurant meals are nothing short of mythical in their unattainability. You eat them and think, “This is why I eat at restaurants. Because I could never make these delicious truffle oil-infused french fries/bacon-wrapped seared scallops/whole grain pancakes with farro and spelt” at home. (That or “I could never take myself seriously buying ingredients like truffle oil.”) It’s part of why I’m willing to pay good money to eat out. Cause, folks, I enjoy interesting foods, but ain’t buyin’ no truffle oil at my local Fry’s Food and Drug…or farro and spelt. Or sparrow and felt. (P.S. Just so you know, another term for spelt is “dinkel wheat.” Take that, fancy foodies.) Plus, I don’t know how to wrap scallops with bacon, nor am I sure that I could get through doing so without eating all the bacon. 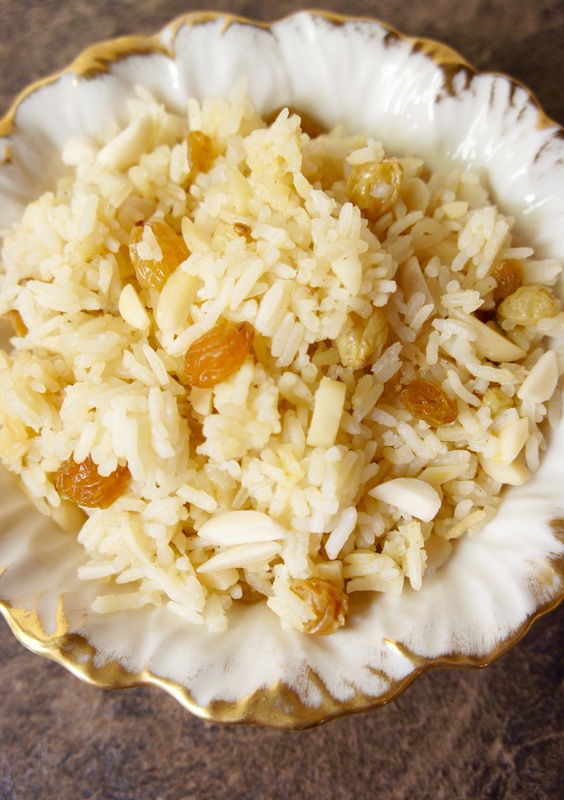 Sometimes, though, you eat a really exceptional restaurant meal and you think, “Huh, I bet I could make this at home without much difficulty.” Like this Mediterranean-inspired rice with almonds and golden raisins. This side dish has always been a favorite of our family’s at a local Middle Eastern restaurant called Flaming Kabob…a place which, I should mention because it’s bizarre and hilarious, was originally a 50s-themed 5 & Diner and the interior of which has never been altered one iota since the change of ownership. Not even joking. 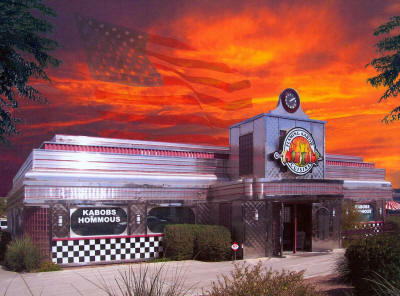 This picture makes it look like some kind of apocalyptic sock hop is going down in there. Anyway, despite its atypical appearance for a Middle Eastern restaurant (and the fact that we’ve never seen the place more than about 25% full, even on a Friday night) their food rocks, and after our last “Combo for Two” that fed our family of five with leftovers, my husband asked if I could try making the rice they serve with their chicken shawarma. Well, sure! Why not? It didn’t seem like it could be that hard, since I didn’t taste anything super fancy in it and the ingredients seemed pretty straightforward. Rice. Almonds. Golden Raisins. Doesn’t sound too convoluted. And it isn’t! There really isn’t anything unexpected in this recipe, except for the lovely combination of flavors that gives it sweetness, crunch, and just the right savory versatility to accompany a variety of Middle Eastern (or other) dishes. For beef kofta, chicken shawarma, or even any plain dinner meat that needs some livening up, it’ll be my new go-to for a snazzy but simple side dish. In a medium saucepan, melt butter over medium heat. Sauté onion until tender, 4-5 minutes. Add pinch cinnamon and stir. 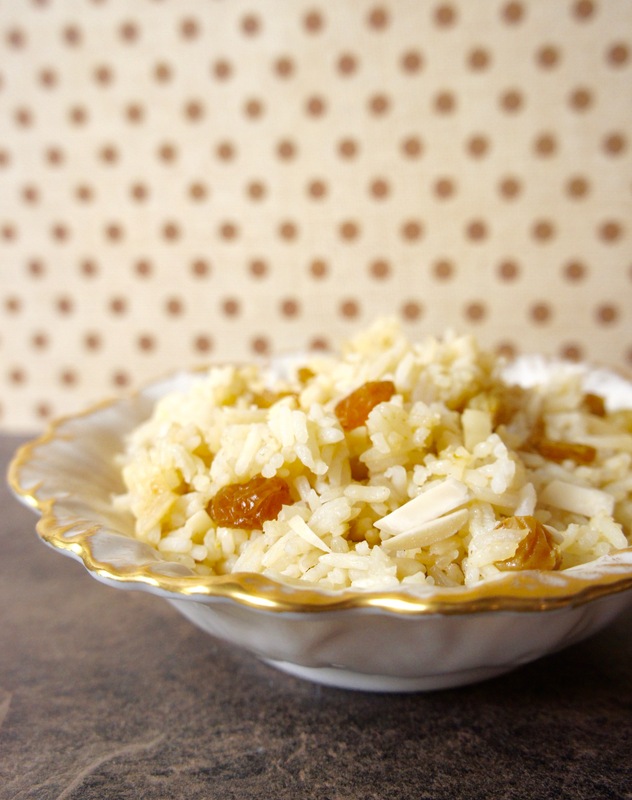 Add rice, chicken broth, almonds, and golden raisins. Bring to a boil, then reduce heat to medium-low, and simmer, covered, for 15-20 minutes. Fluff with a fork and season with salt and pepper to taste. This entry was posted in Recipes and tagged Gluten Free, Mediterranean Diet, Side Dish, Vegan, Vegetarian. Bookmark the permalink.